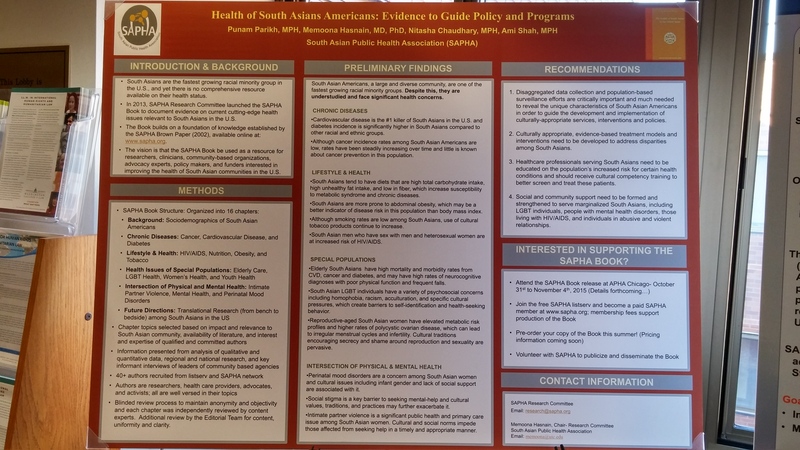 ATLANTA, GA, November 5, 2017 – South Asian Public Health Association (SAPHA) is hosting the Chai & Chat panel discussion. The topic of this year’s meeting is Improving South Asian Health – Bridging the Gap, and will be facilitated by Dr. Nazeera Dawood, SAPHA’s President. Tom Mathews, the founder and CEO of WealthWave, will be featured as a guest speaker. The panel discussion will provide important insights into the many facets of public health, including: special issues in conducting scientific research, educating and raising awareness about South Asian health, and protecting and enhancing the health and wellness of people and the communities where they live, learn, work and play. •	Aparna Bhattacharyya – Executive Director, Raksha Inc.
“Too often we see grass root organizations going the extra mile to provide innovative support that continues to make a real difference to the South Asian community,” explained Dr. Nazeera Dawood. “We couldn’t be more excited to introduce the local Community Champion Organization awards to raise awareness on volunteer services that create a positive environment for South Asians and others.” The deadline for registration is Oct 31, 2017. Register at: http://goo.gl/AJ78yt. Registration will be closed once maximum capacity has been reached. 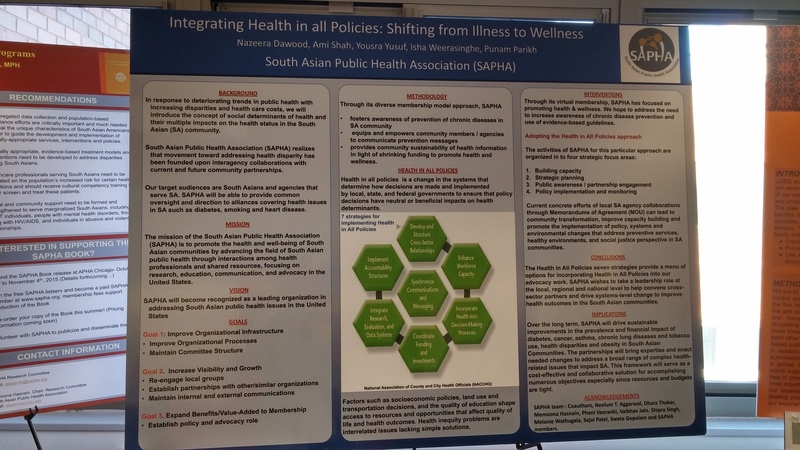 About SAPHA: SAPHA is a non-profit organization founded in 1999 that aims to promote the health and well-being of South Asian communities by advancing the field of South Asian public health through interactions among health professionals and shared resources.